SC Chief Justice Ma. Lourdes Sereno’s response to Pres. 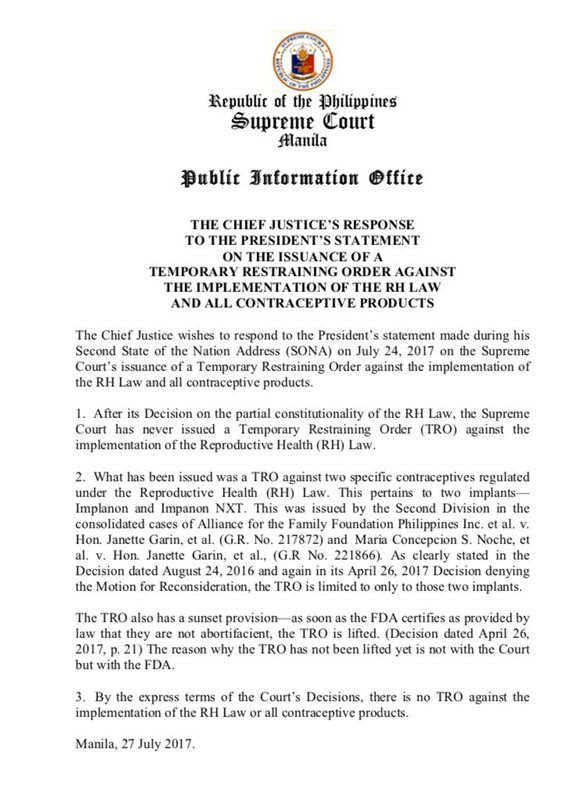 Duterte’s statement on the issuance of TRO vs RH law | ALLiance for the Family Foundation Philippines Inc.